We intend to create CGI and VFX conents for films and commercials, develop games, and make architectural visualizations. 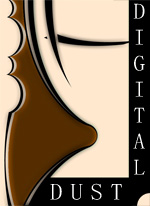 DigitalDust is a team of talented graphic artists who are commited to create high-end 3D content. We aspire to show people a new level of entertaining and design by various manifestations of innovative ideas and spectacular creations.